Manufactured from crystal clear 1.6mil 1.6Mil Polypropylene, with these sleeves you'll see your Music perfectly crystal clear, rather than through a cloudy sleeve. And each sleeve is die-cut These sleeves are much more rigid and tight-fitting than standard outer sleeves. Again, if you want the absolute best and best-looking outer sleeve, look no further. 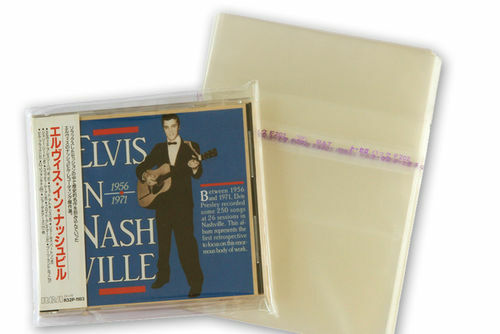 What Protective Sleeve for your CDs?